Near Kirilov, in Karelia, northern Russia, in 2010, we drove past vast tracts of forest where, we were told, bears still roamed and where both nature-lovers and hunters came to track down the big animals. Later, in St Petersburg airport, we saw a group of Estonian hunters who had evidently just returned from just such a Karelian foray, and it was that combination of things, and remembering a story I’d heard in Yaroslavl in the ‘Golden Ring’ region, that got me thinking about one of the strands in Trinity. In my book, one of the characters, Professor Bayeva, a specialist in folklore, is studying the place of the bear in Russian folklore and popular culture for a book she’s writing. 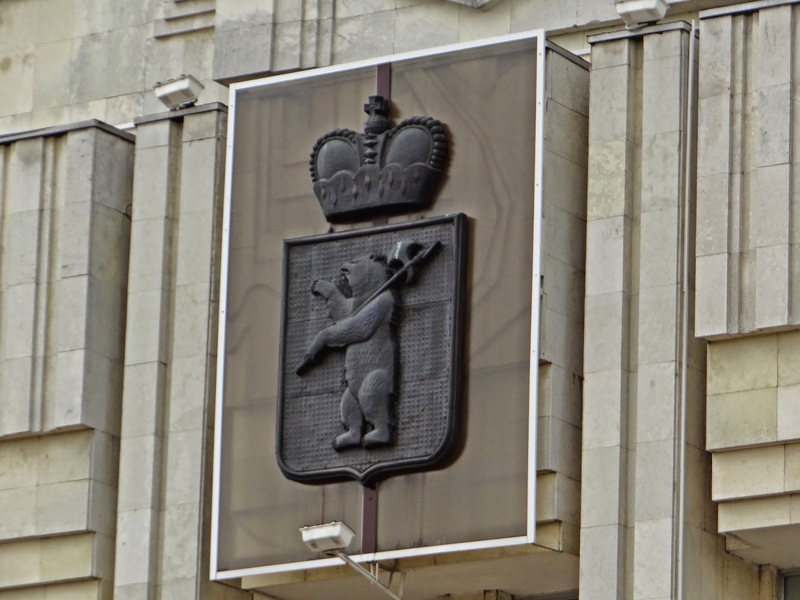 For though the Russian coat of arms features the double-headed eagle, it’s the bear which has always been seen as a symbol of Russia, both to Russians and outsiders. The ‘Russian bear’ has often been characterised in the West as both lumbering and dangerous; but not surprisingly, Russians see it quite differently! He is mostly seen affectionately, as playful, good-natured and strong and protective. (Of course that does not stop real bears from being hunted, or in the old days, tamed and forced to dance at fairs). 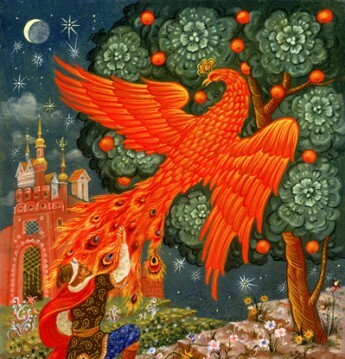 Even though he is indeed dangerous–and Russian folklore certainly does not turn him into a cuddly creature–that is not necessarily seen as a bad thing, because it makes him respected. 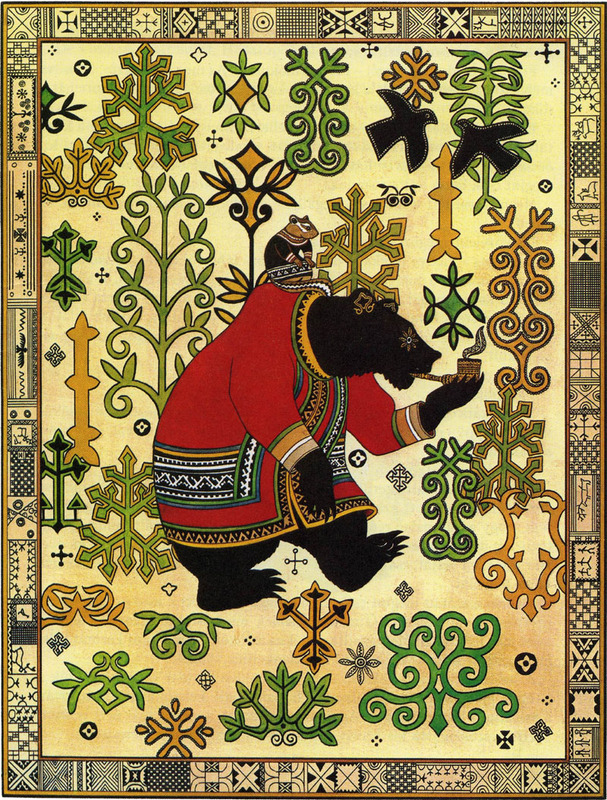 Yet there is also a strand of folklore that does characterise the bear as a slow-witted thug, as in the very popular folk tale, Masha and the Bear(-which by the way I retold in my own way in the picture-book, Two Trickster Tales from Russia). But in Russia the traditional story of Masha and the Bear has been adapted in modern times for a Russian children’s TV series highly successful internationally, where the bear and Masha have become good friends! It’s a good example of a highly ambiguous relationship that Russians have with their primordial symbol, and it goes back a long way. For once upon a time, in the days before Christianity came to Russia a thousand years ago, many of the Russian tribes were bear-worshippers. The story goes that when Prince Yaroslav of Kiev, first Christianiser of this vast land, came with his men on a conquering/missionising expedition into the reaches of the mighty Volga near what is now the city of Yaroslavl(named after him), he was captured by one of those bear-worshipping tribes and placed in a cage with the huge, fierce bear who was the tribe’s local god. When he not only survived the encounter but killed the bear, the legend goes that the awestruck tribe were converted to his faith–a story recently told in the big-budget historical film, Iron Lord. But to this day the bear remains the emblem of the city of Yaroslavl–a jaunty-looking bear, with a battle axe over his shoulder.